Our weekends are precious - so what better way to spend them then going for a weekend trip? So pack your bags, grab your phone, don't forget your passports, and join us at six unforgettable destinations you can roam to this weekend. Off Malaysia's pristine waters are an incomparable biodiversity. Its ocean bed is home to numerous species of turtles, fish, manta rays and corals. Islands off the mainland, such as Tioman and Redang, are majestic diving spots. You can even sign up for a quick-two day lesson with the Professional Association of Diving Instructors, or PADI, to get your diving permit at the many dive schools on these islands! After surfacing, you can visit one of Malaysia's many international music festivals. While some are genre or brand-specific (Asia Music Festival, MTV World Stage), there are those that champion a good cause as well, such as The Rainforest World Music Festival. Take a break from the hustle of the city and escape to Indonesia's islands. You can find cultural marvels like candis, or early 10th century Hindu and Buddhist temples, wayang kulit (shadow puppet theatre) performances. On the flip side, head on to a novel camping adventure that’s just a 45-minute boat ride away. We’re talking about the little-known travel experience known as Glamping. Located along pristine beaches or amidst lush greenry, Glamping looks like something out of Taylor Swift’s Wildest Dreams music video, with its African safari paradise vibes. The term is a mix of glamour and camping, where the outdoor fun of camping meets the luxurious comforts of five-star resorts. Bangkok could possibly be the retail therapy capital of South-East Asia. It offers the full range in shopping options, from the luxury flagstores at Siam Paragon to the eclectic options of Chatuchak. The perfect time to do so will be around April, around the Songkran Festival or the Thai New Year, where everyone arms themselves with water guns, and the streets become a free-for-all water gun battle. Move aside, Hong Kong. When it comes to street food, Taiwan wins hands down. By sheer variety, taste and those crispy, spicy fried chicken-in-a-bag that they’ve perfected, they’re the must-go weekend trip for some decadent chowing down. Beyond its urban streets however, Taiwan has a gloriously raging wilderness that is well maintained in its nine national parks. Arguably, its greatest would be the Yushan National Park. Yushan is home to Xiuguluan River, where you can embark on a thrilling 22 kilometre rush down its rapids. Hong Kong's film industry is in rapid recovery in the second half of the decade, perhaps due to a more open economic and artistic relationship with mainland China. That said, it has always had a vibrant film scene, and we recommend visiting popular filming locations for both Hollywood and Hong Kong such as Victoria Harbor and Tsing Shan Monastery. 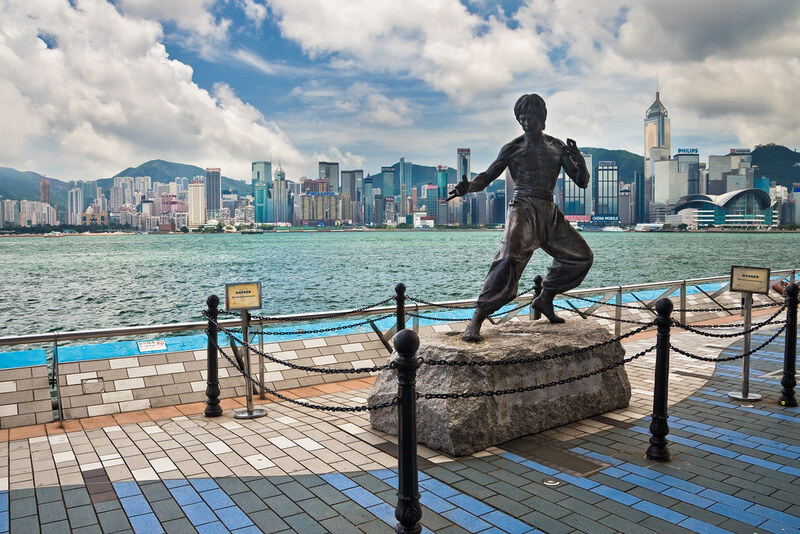 To add some major street cred to your Instagram account, there’s also an awesome statue of Bruce Lee at the Avenue of Stars (Hong Kong’s answer to the Hollywood Walk of Fame). Land in Sydney, but do away with the city lights and the urban hustle. Instead, take a gorgeous drive out of the city, past the picturesque Blue Mountains, to Coonabarabran, the astronomy capital of Australia. Under the clear night sky, peer deep into the heavens for a contemplative, serene and altogether memorable weekend. Margaret River is possibly one of the most romantic places on Earth, a scenic collection of wineries and confectionaries that would be perfect to visit with your significant other. Let’s not forget the most Instagrammable place in Perth – the blue boathouse at Swan River. We all know the saying, “If it’s not on Instagram, it never happened.” To stay connected even on your quick weekends getaways, simply get a StarHub Mobile Prepaid SIM to enjoy Happy Roam – Singapore’s first prepaid mobile service that lets customers data-roam to 6 destinations at Singapore data rates. That’s right, you don’t have to pay for data roaming charges and enjoy the convenience of using one prepaid SIM to all 6 destinations. Now you can say goodbye to multiple SIM in different countries. Getting ready for a trip is now hassle-free when you can get everything ready all in Singapore and get mobile connectivity the moment you land! Your weekend away can begin as soon as you want it to. What’s more, stand to win free flights to all 6 Happy Roam destinations - Australia, Hong Kong, Indonesia, Malaysia, Taiwan & Thailand! Simply purchase a NEW StarHub Mobile Prepaid SIM card & SMS ROAM to 6122 to participate! Hurry, contest ends 15 April 2016! For more information, visit www.starhub.com/happy-roam and your Instagram feed will thank you. Safe travels and happy data roaming!